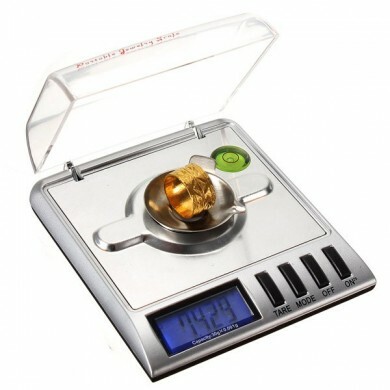 "Tare" button weigh in a container, the tare button will subtract the container weight from the total reading. 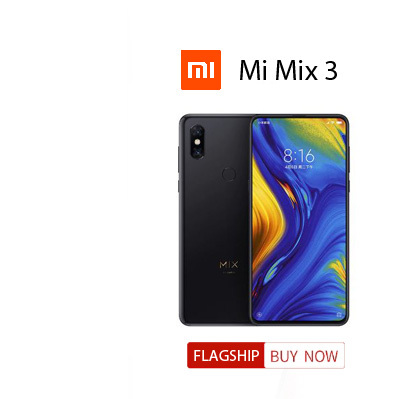 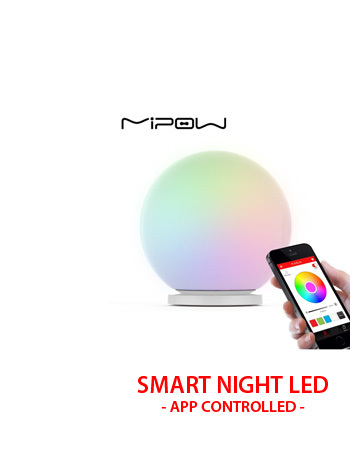 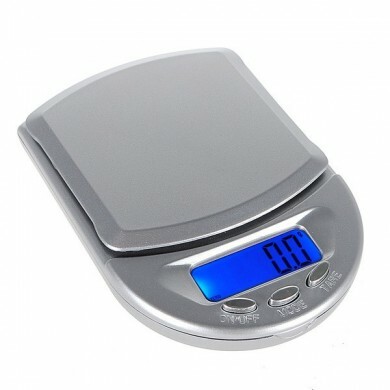 1 minute auto-sleep function, low battery indicator. 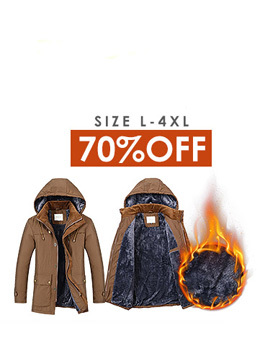 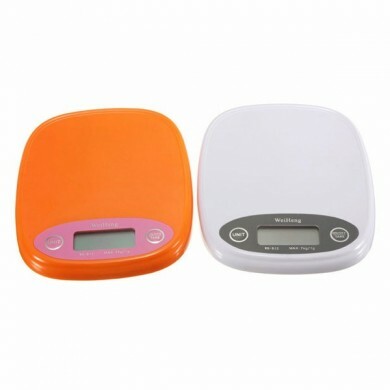 Built-in flip-up breeze cover to ensure accurate weighing. 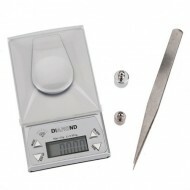 Includes tweezers for safe & easy placement of items on weighing tray. 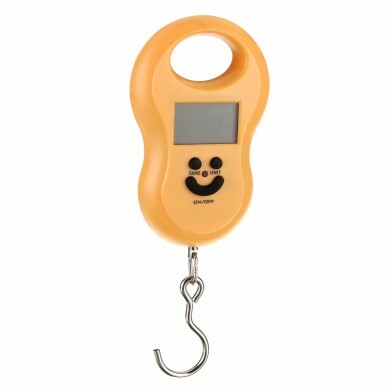 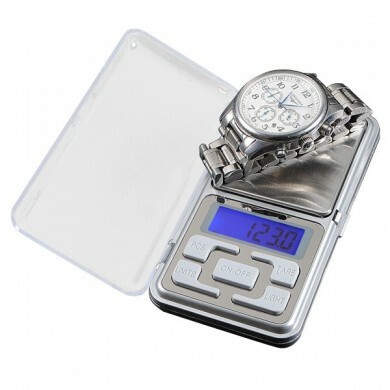 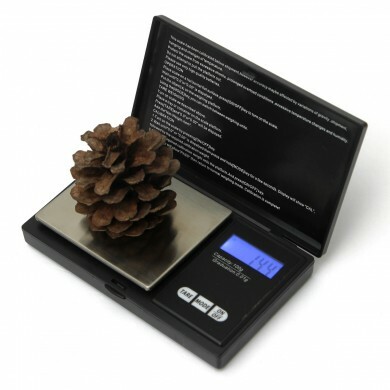 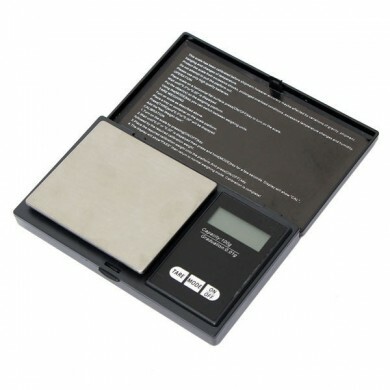 Easy to recalibrate to ensure accurate weighing; w/ included calibration weight. 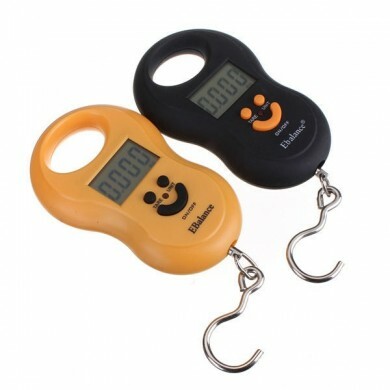 Rubberized feet will help secure unit from movement and absorb vibrations. 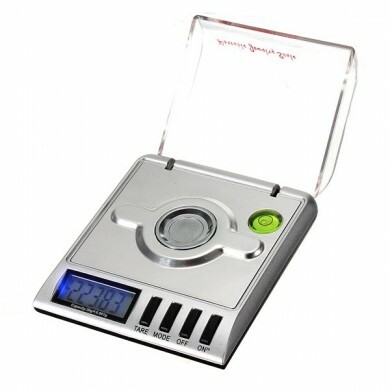 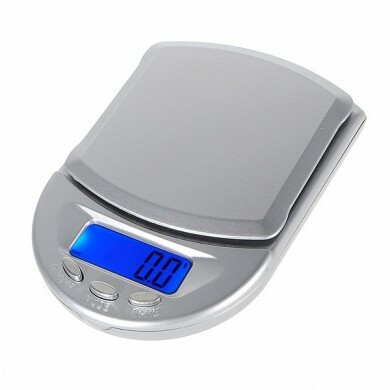 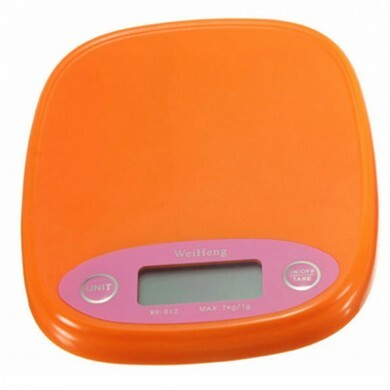 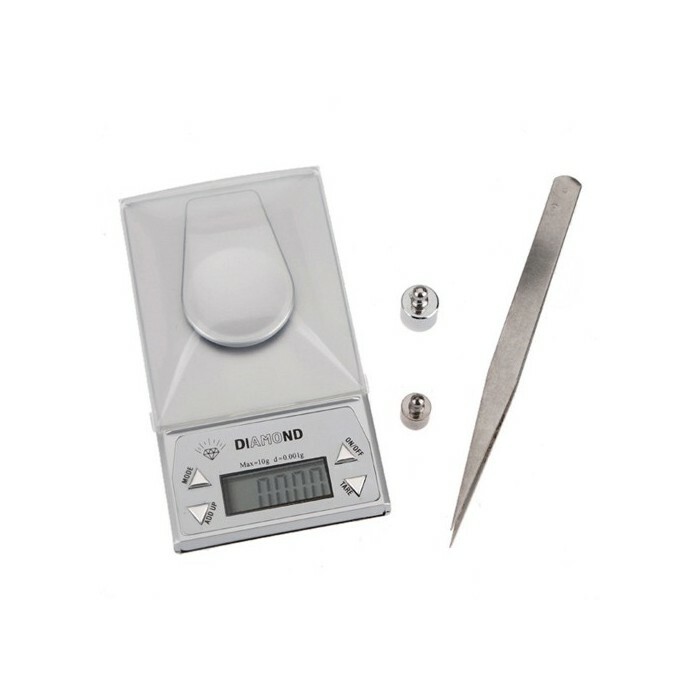 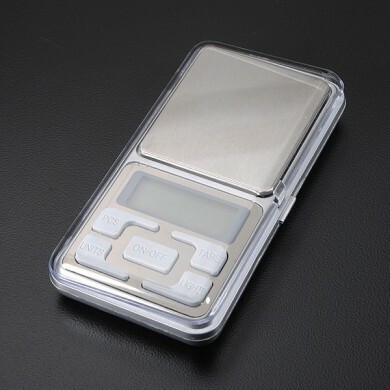 Light-weight and compact, this portable precision scale is ideal for weighing.